Depending on just how exposed your home or office is, you could benefit from using bamboo as a shade plant. 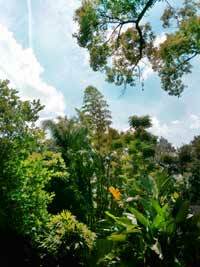 Are there any restrictions with your HOA or property manager for planting bamboo where you are located? If there are restrictions you may want to consider planting bamboo in pots rather than in the ground. Are the restrictions for invasive bamboo? 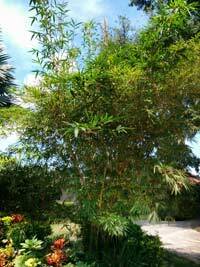 If so you will be okay with planting or potting non-invasive bamboo such as the kind we sell here at Winter Park Bamboo. 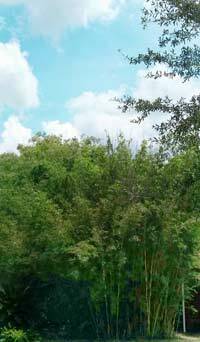 Are the restrictions for planting bamboo near a fence-line or property line? If there are restrictions for planting bamboo near property lines you will absolutely want to dig a trench and lay a plastic barrier along the fence-line at least one possibly two feet from the fence or property line. Even clumping bamboo will spread a little over time and you do not want it encroaching in a neighbors yard and causing problems. Again clumping bamboo does a great job of staying put but it is a plant and healthy plants do grow over time. Are there physical obstructions to consider such as power lines or overhead transmission lines, pergolas, overhangs, other trees or plants? If there are overhead obstructions we always recommend you buy the right bamboo plant for the right area of your business and home. 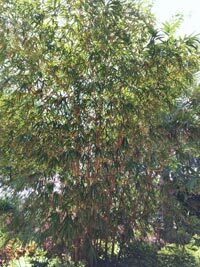 Malay Dwarf Bamboo – ‘Bambusa Heterostachya’ makes a very nice hedge and grows to no more than 12′-15′ feet typically. There are other varieties such as Dwarf Buddha Belly Bamboo that also looks great but does not grow as tall as a Graceful, Asian Lemon, Black or Blue Bamboo. Once you have settled on one or more varieties of bamboo you will want to then decide on how you want the bamboo to look. Do you want your bamboo for shade only? If you want bamboo for a wall, the decision is a fairly straightforward process. Simply decide how long you want the wall to run and buy plants based on their optimal spacing. We break some of this down individually as you look through the various bamboo plants we offer. Another option for bamboo and really any yard, garden or office plant is aesthetics. Do you want to layer varieties of bamboo plants together? Interior decorators will layer a room with furniture, art, lamps and finishes. You too can add depth to a space with layers of various bamboo varieties. Doing this can help to accentuate or hide certain features withing a landscape to create a more beautiful space. One way to do this is to grow a low hedge of bamboo such as Malay Dwarf in front of a taller bamboo such as Graceful Bamboo. Whatever you decide, make sure its something you love and are willing to live with. You can easily move and transplant bamboo, but it will be best for your back and your wallet if you put a thought and planning in early. If you feel overwhelmed we recommend you get the opinion of a professional before putting a shovel in the ground.